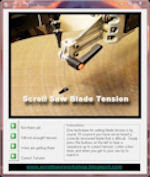 Just a quick post for a request from the visitors to ScrollSaw Workshop Blog. I would love to be able to share the projects you have created with the other visitors. If you have cut one of the free patterns off the site that you would like to share just email me a picture and I'll post it. I know several of you are more advanced scrollers and others would appreciate any tips or examples from you. No tip is too simple. I have a feature on the Blog in the upper left hand corner where you can leave me a voice mail. If you have a microphone connected to your computer all you have to do is click the little green button and follow the prompts. 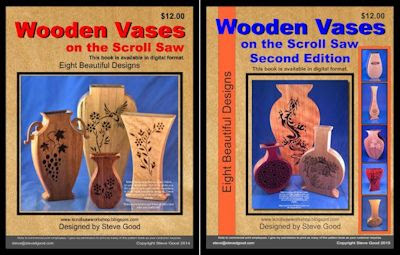 It would be great to post audio clips from visitors about successful Arts and Crafts Shows or any tips or comments about scrolling. 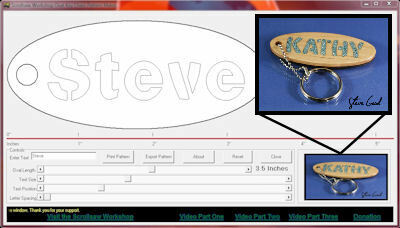 Creating Baskets with Corel Draw. In this two part video I want to show you the technique I use to create baskets with the scroll saw. 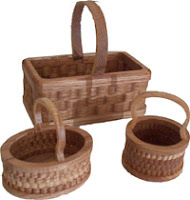 The baskets are easy to cut and assemble and they look great. 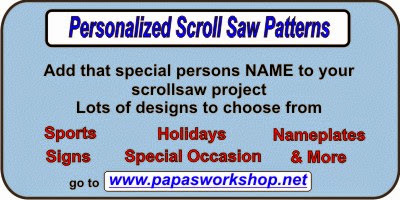 I will take you throught the pattern creation process in this post and include the free downloadable scroll saw pattern. Look for the pattern link below. In the next video we will go into the workshop to demonstrate how to cut and assemble the parts. I hope to have that video up in a couple days. This download only includes the round basket. I will show you how to modify the pattern to create the oval basket in another video. The larger rectangle basket will be features in a later video also so keep watching. I hope you enjoy the videos and the pattern. It looks like YouTube.com is having some problems tonight. If the video won't load try again in a few minutes. 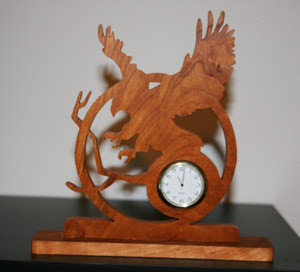 Just a quick note to let everyone know I am out of the workshop until Friday. When I get back I will post another Project video with a free pattern. Hopefully it will be posted Friday night. To give you something to watch now check out these videos. 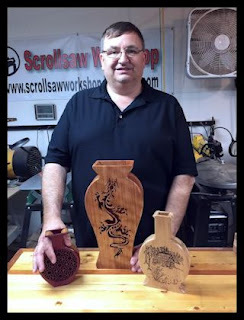 Mark earns a full time living with his scroll saw. 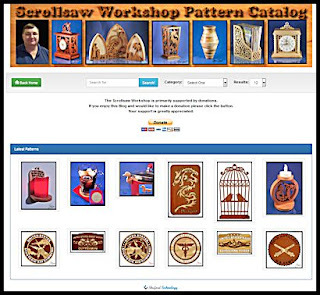 Corel Draw pattern creation video series introduction. 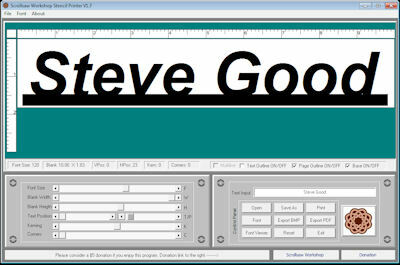 This video demonstration of creating patterns with Corel Draw is the first in a series. I will post more videos in the near future. I have a couple in the can already and am working on more. I hope I can start more scrollers creating their own patterns. It's fun and the projects you create will be all your own. If you sell at craft shows there won't be anyone else selling the same piece. Enjoy the video and check back soon for more. Better yet subscribe to the Blogs feed or email subscription to get update. Link to FREE pattern. Corel Demo Intro. Free Downloadable Pattern. Link below. This is my first free downloadable pattern here at the Scrollsaw workshop. 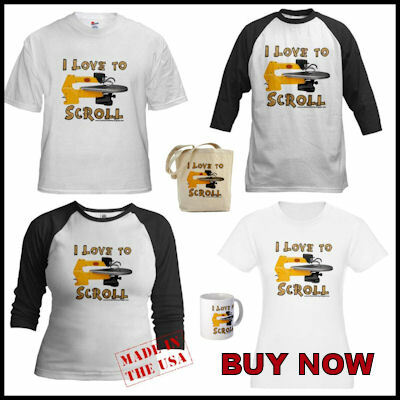 If you scroll down the Blog you will see a link to the pattern which is in PDF format. 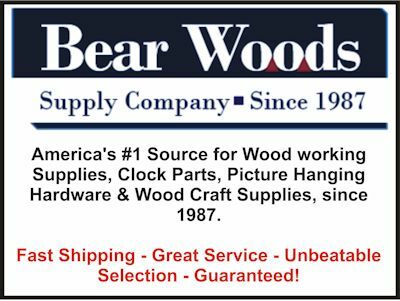 Look for the Patriotic Saw links. You will need adobe acrobat reader to open this file. Before you print the file make sure that the shrink to fit option is not selected so the pattern will print at 100%. After you download the pattern spend a few minutes watching the demonstration video that follows. I am providing this pattern free to give you something to practice on. Feel free to make as many of these as you would like and give away or sell but please don't reproduce the pattern and sell it. If you cut this pattern take a few minutes and drop me an e-mail with a picture of the finished project and I'll post it on the blog for others to see. Happy scrolling and I'll talk to you in the next post. Link to FREE pattern. Patriotic Saw.